Brazil’s premiere life changing lottery, Mega Sena is not only one of the most popular lotteries in the country but also is a way the country can raise funds to help fight poverty and educational funds. Mega Sena has awarded billions of prizes since 1961, but also has changed many lives of Brazilians over the years. Mega Sena is the biggest lottery game in Brazil. The game is run by Caixa Econômica Federal Bank, which has been running federal lottery games for decades, so Mega Sena players experience a very smooth gaming experience that is as entertaining as it is potentially life-changing. The aim of this popular lottery, as well as giving all players a thrilling chance to win staggering sums of money, is to raise funds for a variety of worthwhile social programs in the country, including several that are specifically geared toward providing educational services. The social benefits of the Brazillian lottery help players to feel good about participating on a regular basis, and if they win a jackpot prize by doing so they feel. Drawings are conducted twice a week, on Wednesdays and Saturdays. The drawings consist of picking balls from 2 spinning spherical cages. They are picked in pairs, in order to form a 2 digit decimal number from 01 to 60. The first cage has balls ranging from 0 to 5 for the first digit, and the other one has balls ranging from 0 to 9 to be used in the second digit. In the event of the number 00 showing up, it will be replaced by the number 60 for prize purposes. When 6 unique 2 digit numbers are drawn, the drawing is concluded. Contestants may bet in the range of 6 to 15 numbers, out of 60, and scoring 4, 5 or 6 points will grant prizes. Bet prices escalate depending on how many possible groups of 6 numbers exist within the numbers chosen, so they vary between R$2.00 for 6 numbers (only 1 game possible) to R$10,010.00 for 15 numbers (5005 games possible). The chances of winning the biggest prize when placing a minimum bet are 1 in 50,063,860. Contestants can choose to play a “Surpresinha” entry, which will generate their numbers randomly. They can also opt to enter these numbers for 2, 4 or 8 consecutive draws in advance. 35% will go to people who scored 6 numbers. 19% will go to people who scored 5 numbers. 19% will go to people who scored 4 numbers. 22% will accumulate for a special drawing occurring once every 5 times. Income tax will deduct 13.8% from all the previous items. The net value for prizes is actually 32.2% of lottery earnings. Winners have 90 days to claim their prizes. Prizes below R$800 can be claimed at a lottery house. Prizes above R$800 must be claimed at the Caixa Econômica Federal bank. If the 90 day period expires, prize money is transferred to the national treasury and invested in educational programs. To play, select 6 numbers from a guess range of 1-60. 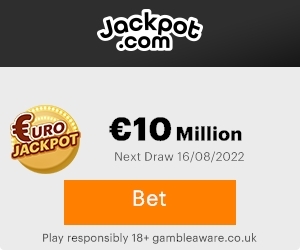 Players can choose to fill in the lottery’s three line form with manually selected numbers (Natural Selection), randomly selected numbers (Quick Pick), or numbers saved in a theLotter.com account (My Numbers). In addition, Mega-Sena offers systematic forms of 7, 8,9, 10, and 11 numbers which enable players to create all possible combinations of their selected numbers and increase the likelihood of winning a prize. The Mega Sena is played on Wednesday and Saturday at 19:00, local time in Brazil (22:00 GMT). The lottery closes an average of three hours prior to draw time, and results are available on theLotter.com at 7:30 GMT the following day. Mega Sena winners have 90 days from the day of the draw to claim their prizes. Prizes are paid out in a single lump sum payment, and winnings are tax-free. Prizes which remain unclaimed by deadline are turned over to the Brazilian National Treasury and divided amongst various local social and cultural initiatives. New Year Super Draw – Every year, the Mega Sena da Virada lottery competes with other end-of-the-year draws in the United States and Europe with top prizes such as R$244 million (US$117 million) which was divided amongst three winners in 2012. Lottery Winner Widow – Adriana Almeida, known as the Mega-Sena Widow, was found innocent of conspiring in the murder of her lottery winner husband in 2007. Almeida’s husband, ironically called Renne Senna, won R$52 million in Mega Sena in 2005 and was shot outside a bar two years after the windfall. Almeida and Senna began dating after Senna’s big win, and the widow was suspected of orchestrating the murder to inherit half of her husband’s wealth which is valued at R$100 million (US$54 million). Almeida was acquitted in December 2011, paving the way for her legal inheritance of the former Senna’s legacy.